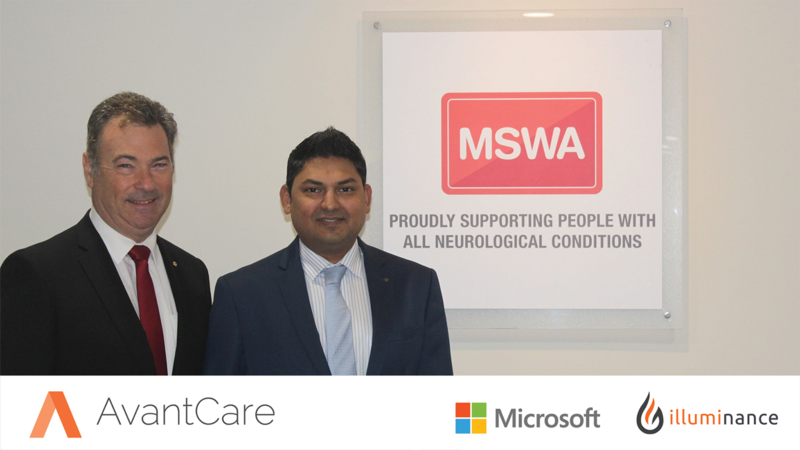 Illuminance Solutions have over the last year collaborated with Microsoft and MSWA, designing technology to cope with the NDIS changes and improve client management systems. 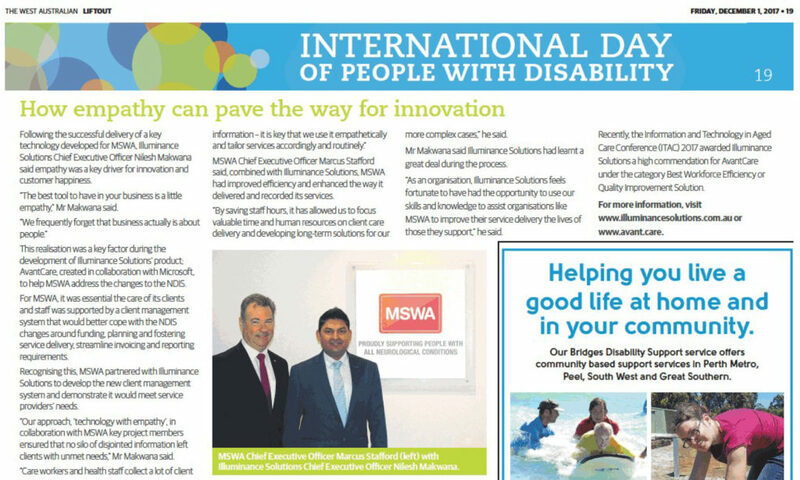 Today, in accordance with International Day of Persons with Disabilities on 3rd December, The West Australian published this collaboration, where Illuminance Solutions CEO Nilesh Makwana and CEO of MSWA Marcus Stafford, explain how empathy can pave way for innovation. Visit AvantCare for more information and read the digital version of The West Australian!